With Hurricane Irma bearing down on Florida, and since Hurricane Harvey made landfall on August 25th, 2017 is shaping up to be the costliest hurricane season on US record. 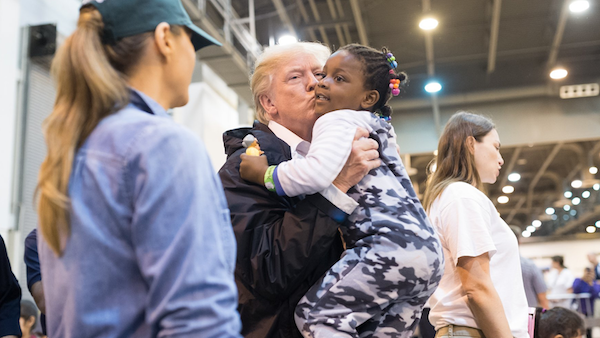 President Trump and the First Lady returned to Texas last Saturday where they met with the people directly affected by Hurricane Harvey. In addition to thanking the incredible men and women working tirelessly to support their fellow Americans, The President and First Lady were thrilled to help with relief efforts in shelters by serving food and providing comfort and compassion to people left homeless by the flood. They later visited Louisiana to thank outstanding citizens, including first responders, and the Cajun Navy. The President is now monitoring the situation very closely for people caught in the path of Hurricane Irma in Florida, Puerto Rico, and the U.S. Virgin Islands. We are praying for the safety of all of those people affected by this storm. Childhood Arrivals (DACA) program and has begun to end the program responsibly. The DACA program was never intended to be permanent—even President Obama admitted it was a temporary, extraordinary measure that was an excessive overreach of the Executive’s constitutional role. 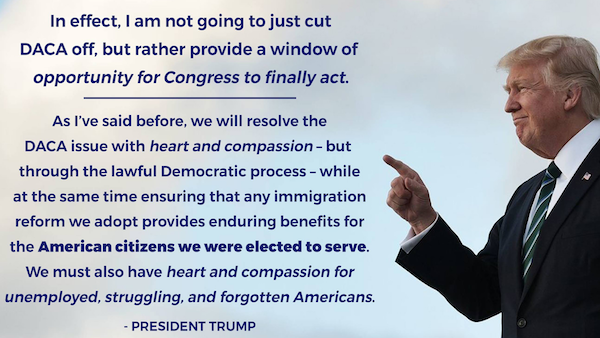 President Trump is now providing a window of opportunity for Congress to finally act and create a real solution that has been elusive under the past leadership of both Democrats and Republicans. As with other issues, the President is leading with heart and compassion – but through a lawful Democratic process once and for all. During the campaign, then candidate Donald Trump promised to bring back American manufacturing jobs and he is keeping that promise. 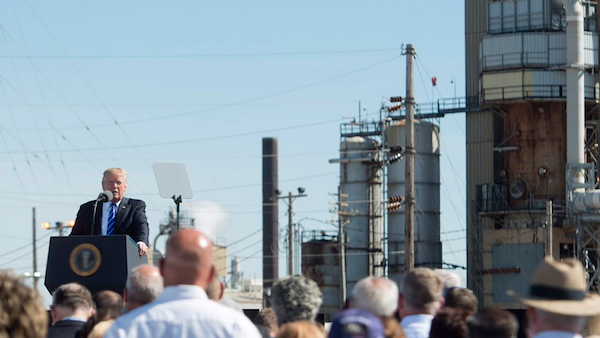 Already, he has created 1.2 million jobs overall and tens of thousands of jobs in the manufacturing sector. 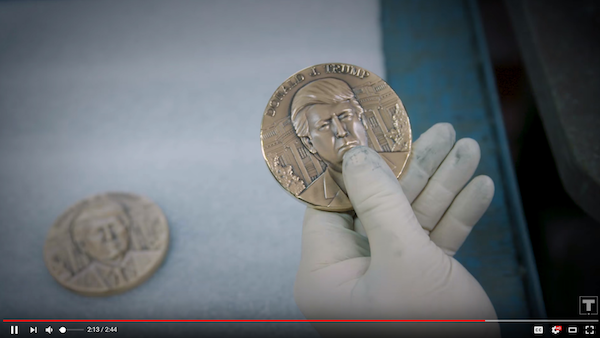 Our campaign is applying the President’s economic principles by working with Midwest manufacturer Medalcraft Mint to manufacture “Presidential Medals” available for our supporters in our online store. Thanks to President Trump’s leadership to improve our economy and create millions of new jobs, more and more Americans such as the artisans at Medalcraft Mint have become very optimistic about the future for their families and for our country. Watch the full story and get your coin today by clicking here.